Two years ago scientists had a look at the star HD 219134 in the Cassiopeia constellation and teased out its secret: a planet in a 3-day orbit that transits, just 21 light-years from us: it was by far the closest transiting rocky planet to Earth! The new planet, called HD219134 b, was discovered using the high resolution spectrograph HARPS-N mounted at the Telescopio Nazionale Galileo. Several low-mass planets were then discovered around that star a K-dwarf star, just smaller than our Sun (0.81 solar masses). News results from high-precision time-series photometry of the star acquired with Spitzer joined with a new HARPS-N radial velocity data set of over 100 measurements, revealed that the second innermost planet of the system, HD 219134c, is also transiting and allowed to estimate the mass and the radius for the two planets: 4.74 M⊕ and 1.602 R⊕ for HD 219134 b, and 4.36 M⊕ and 1.511 R⊕ for HD 219134 c. These values suggest rocky compositions for both planets. 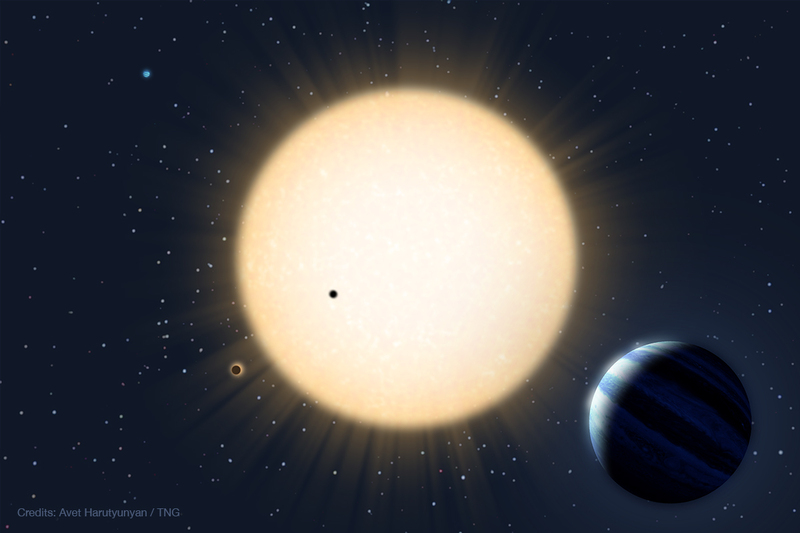 Michael Gillon, first author of the paper, told us that "The detection of the transits of these two super-Earths is an important step for the study of rocky worlds orbiting other stars. Indeed, the proximity and brightness of their host star combined to their transiting configuration enable a detailed characterization of these planets, notably constraining very thoroughly their internal compositions, which could shed new important light on the origins of massive short-period rocky planets. This result demonstrates that Spitzer, while being in space since 2003, is still a key facility for the study of exoplanets." The transit is in fact the second key ingredient to estimate the planet density, coupled with the mass inferred from the precise radial velocities measured by Harps-N. Closer than the now world famous Trappist-1 system, Francesco Pepe, Harps-N PI and coauthor, affirms that "it is really unlikely to have a transiting system closer to us than HD 219134!". 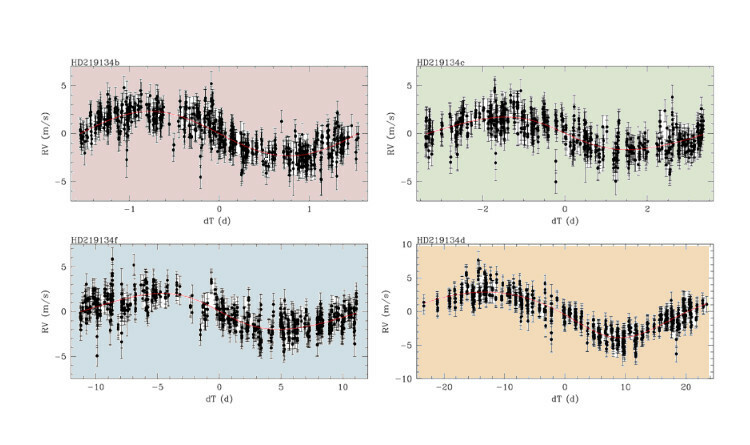 Thus, this is the best candidate for further, more refined studies that could give important constraints on the nature and formation mechanism of the short-period planets of a few Earth masses. "This is another step toward the characterization of the solar neighborhood thanks, also, to TNG observations" concludes Emilio Molinari, TNG director and also coauthor.